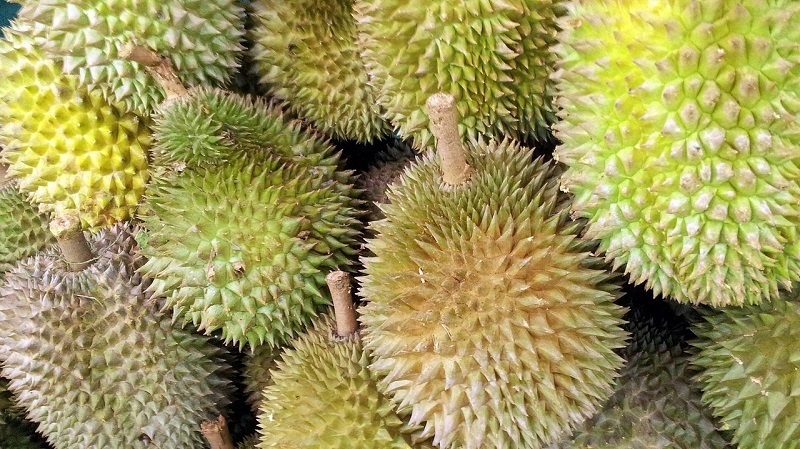 China’s increasing demand for durian is threatening to cause massive deforestation in Malaysia, local environmentalists warn. Known for its creamy texture and notoriously pungent odor, durian is popular, not only in Southeast Asia where it is widely grown, but also in other Asian countries, especially China. To meet the Chinese demand, vast areas of the Malaysian jungle are reportedly being cleared to be converted into durian plantations. However, this popularity in China has encouraged exporters to take advantage of the growing market, prompting many to shift from small orchards to industrial-scale operations, according to Agence France-Presse. Farmers are further enticed to turn to durians as the price of palm oil, a key Malaysian export, has recently exhibited a decline. Now environmentalists have expressed concern that the trend poses a grave threat to rainforests in Malaysia. In a statement to the AFP, Malaysia’s agriculture ministry said the expansion of durian plantations will be gradual, noting that growers are encouraged to use existing orchards and revive unproductive trees. “Deforestation for new areas is not encouraged,” Agriculture Minister Salahuddin Ayub was quoted as saying. Ayub further stated that strict environmental rules will be enforced in cases where trees are logged for plantations. PEKA, which has studied land clearances to make way for the fruit, noted that swathes of rainforest in Raub, central Malaysia have recently been chopped down to make way for a new durian plantation. The area is close to a protected forest, which serves as a habitat to a myriad breed of animals and exotic birds. A nearby river is now reportedly filled with the trunks and branches from the deforested area. Based on the sign posted outside, the plantation is run by a firm called Ample Harvest Produce. According to PEKA, the local government allegedly changed the land’s status to allow logging. In its bid to tap into the growing demand from the world’s second-biggest economy, the Malaysian government is said to be pushing for even bigger durian production in the future. A proposed deal in August will reportedly pave the way for the export of whole, frozen durians to China instead of the currently permitted pulp and paste form. Such an agreement is expected to more than double Malaysia’s durian export to 443,000 tons by 2030. Tribespeople in the northeastern state of Kelantan have set up blockades to stop a company from logging their ancestral lands to set up a Musang King plantation last year. The case has put the state government at odds with the central government which is now suing it for failing to uphold the land rights of the indigenous group.